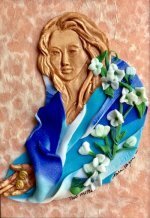 Christian Artist Resource; art and ideas for the Christian visual artist. As a Christian artist, do you create with the awareness of your destiny? Something to think about, isn't it? Perhaps you are eager to fulfill God’s plan, yet unsure of how to live it out. You can use the gift that God gave you to create meaningful art. 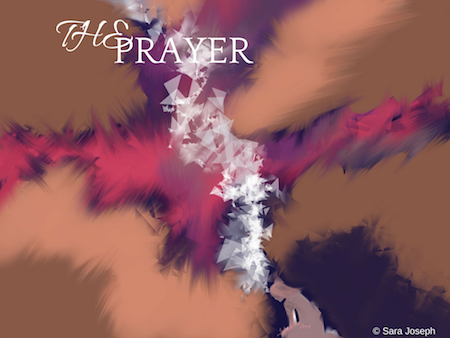 If you love God with all your heart, and long for a way to express it as a Christian visual artist, this site is for you. Have you wondered if this is your calling? You are not alone. Conflict is to be expected, but know that your calling is sacred. There is much the Lord has for you, if you dare to trust Him with it! It can be challenging to do so if you feel isolated. How encouraging to know that others have gone before you! There are lessons to be learned and knowledge to be assimilated. Remember that where God guides, He also provides. He is El Roi, the God who sees all that is to come and generously helps those who turn to Him. I'm Sara and I've experienced the loneliness of showing art in places hostile to my passionate faith. Yet I learned that I was never alone. You too, my friend, are never alone. In fact, the riches of your relationship with Jesus defines and sets you apart as a Christian artist. I share my years of trial and error in the hope that this visual guide will help you grow in your passion for God as you join me in this journey of faith. Your call as a Christian visual artist in the service of Jesus is a precious privilege. As Christian artists, we are called to do more than to merely illustrate the Bible. We are to be artists whose faith is an inseparable part of who we are and all we create. •	Uncover your hidden God-given gifts and creative talents. •	Anchor your gift to your faith confident of God’s partnership in your artistic endeavors. •	When you run dry, as we all do sometimes, find inspiration from the stories of other artists. •	Build skills, challenge yourself with disciplines and then make the most of all that God has blessed you with. Are you are a newbie in the world of art? Here you will be assured of the gravity of your call. 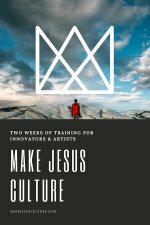 If, on the other hand, you are an experienced Christian artist, it is my hope that you will find thought-provoking content to encourage you to explore your unique language of art.